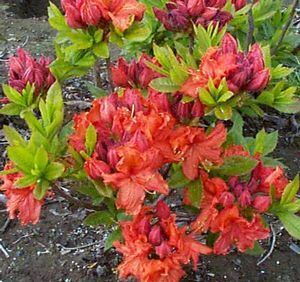 Bright orange flowers with shades of red and gold with frilled petals. Deciduous shrub is a large spreading grower, 5' in 10 years. Does best in evenly moist but well drained soil.